In the tidal wave of house music that has been released since the mid-80s there is always the risk of missing out on a hidden gem; one of those secret weapons that only the most on-point crate diggers found at the time of release. This rule could easily apply to most of Chris Simmonds’ back catalogue, as the UK house titan has side-stepped the notoriety he surely deserves for relentlessly delivering quality over a career that stretches back to 1990. 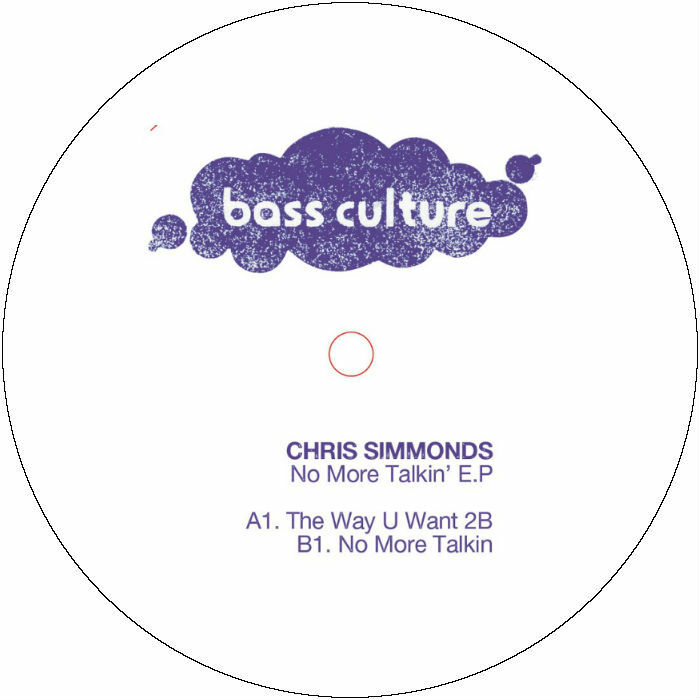 Much like Mr G who appeared on our last release, Chris Simmonds has been simmering constantly in the background while other trends and phases have come and gone. As such, we feel it’s only right to bring to light one of the finest examples of the talent this unsung hero has been dropping since house music was an infant genre. Originally released in 2003, the instrumental version of “The Way U Want 2B” wastes no time in ripping into the quintessential garage house groove, all sizzling hats and snappy snare, while snippets of Diamond’s breathless vocal worm their way into the rhythm. Firing off subtle flecks of keys and pulses to accentuate the energy of the track, it’s only at the midway point that everything opens up with a soaring lead synth that reaches back to the golden age of soul music. In amongst the crafty edits and nagging funk of the percussion it’s as complete a house cut as you could ever wish for. “No More Talkin” takes a more linear path into the night, the drums pounding out a staccato command to move more and socialise less. Likewise the arpeggio that runs alongside has a similar urgency, calling out a nervous melody as it runs to keep up with the beat. In the space around this locomotion come fleeting snapshots of dub processing, drenched in reverb and tickled with delay, that slowly feed into the main arrangement in the perfect cocktail of eyes-closed heads-down dance music. 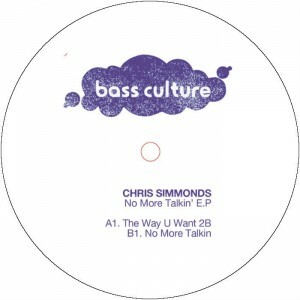 Nestled comfortably between DJ-friendly club cuts and expressive soul music, Chris Simmonds is everything a house producer should be, and it’s Bass Culture’s pleasure to share with you just one drop in an ocean of heavy-grooving music he has given to the world. Out on vinyl & digital March 2014. This entry was posted on March 1, 2014 at 15:53 and is filed under Release.